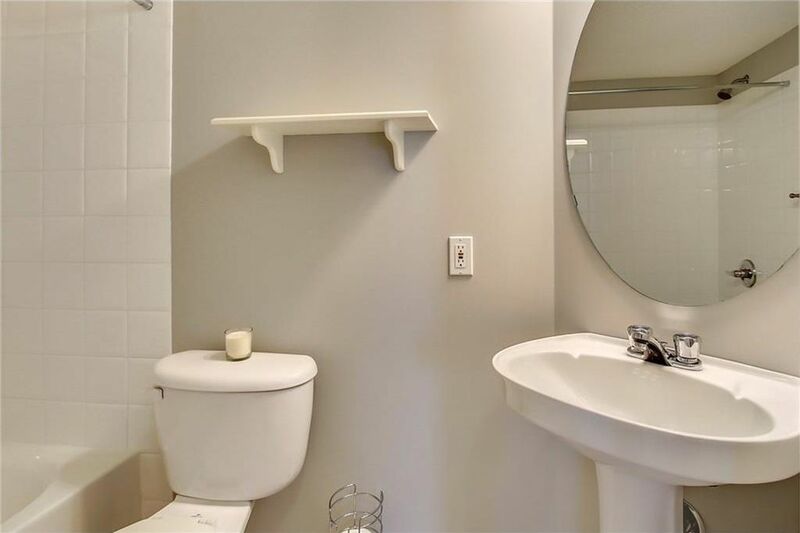 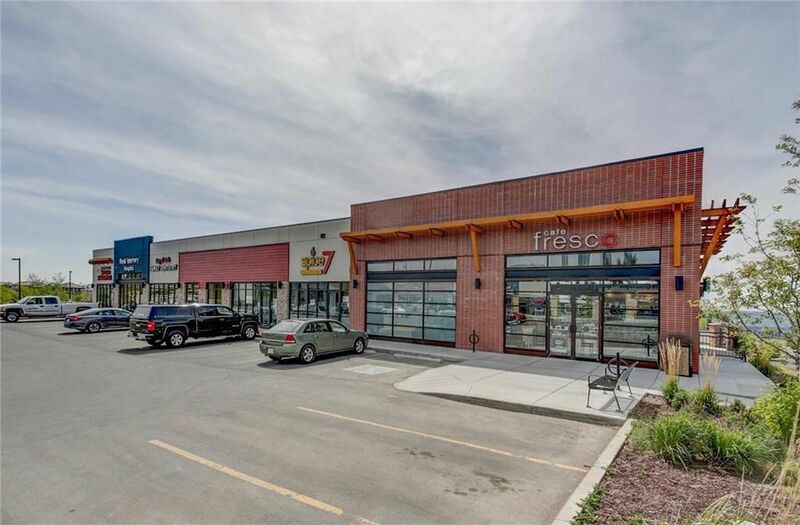 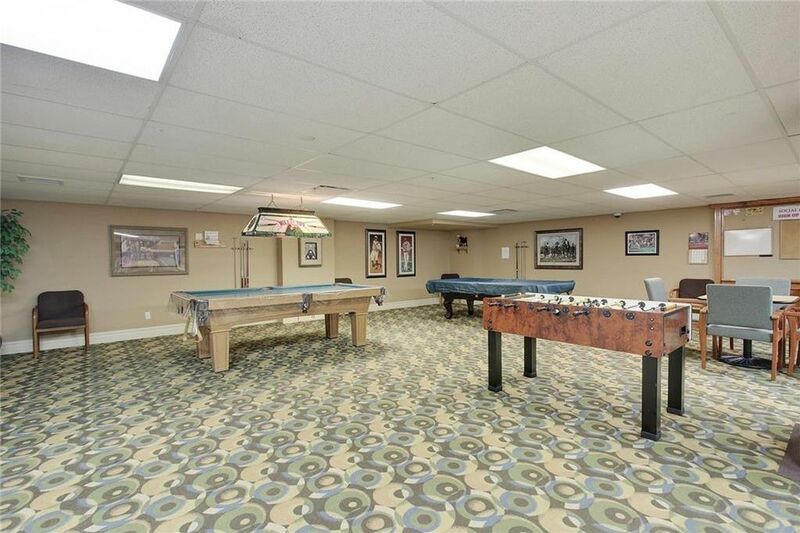 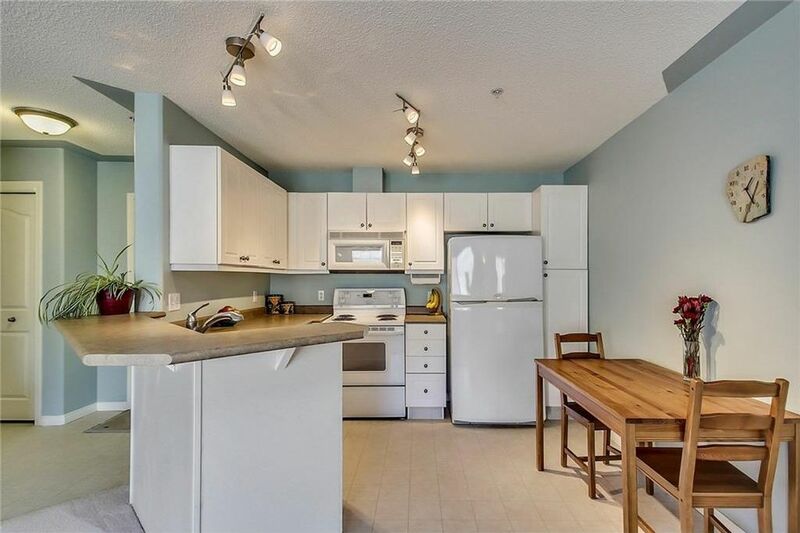 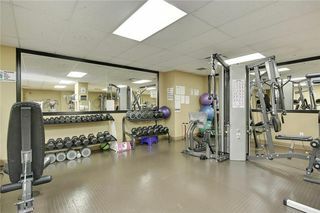 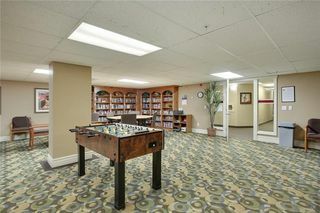 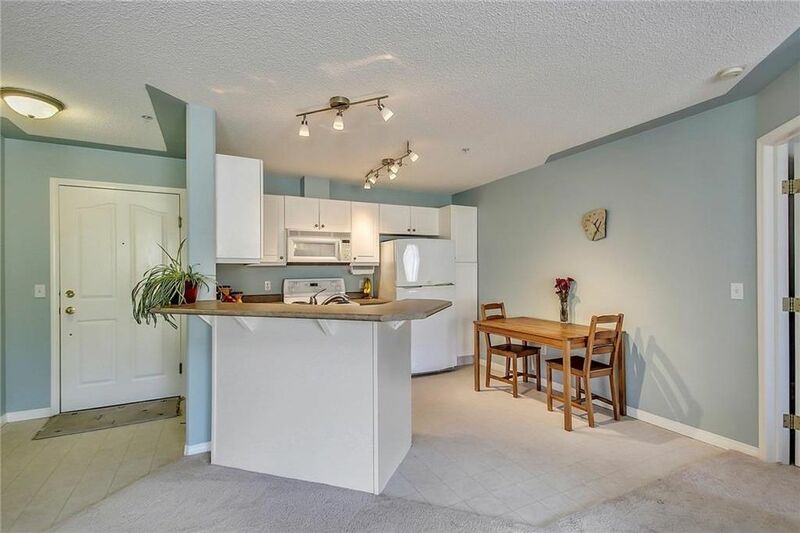 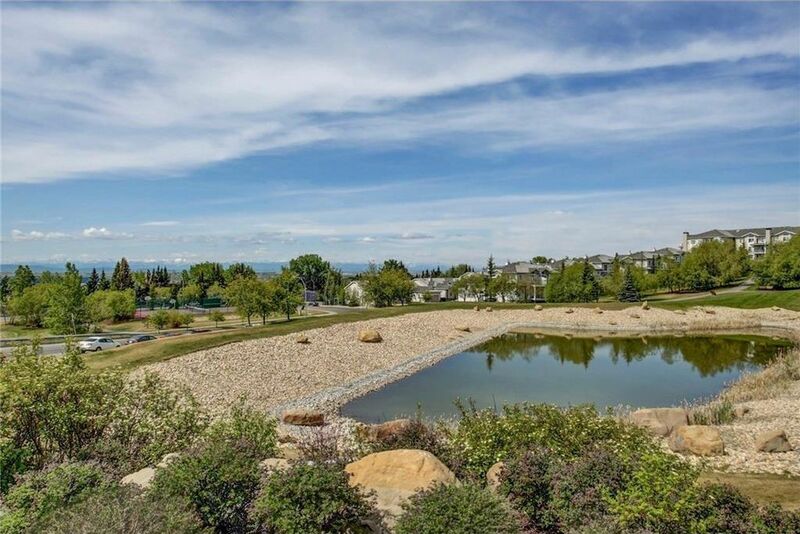 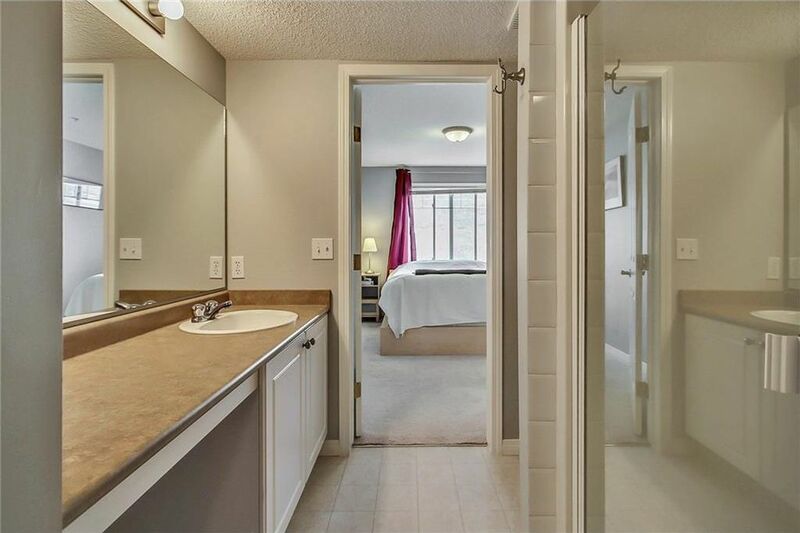 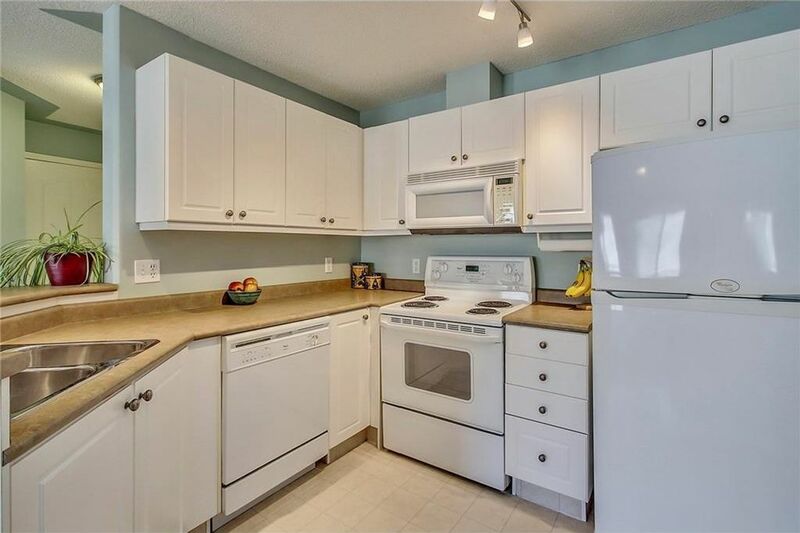 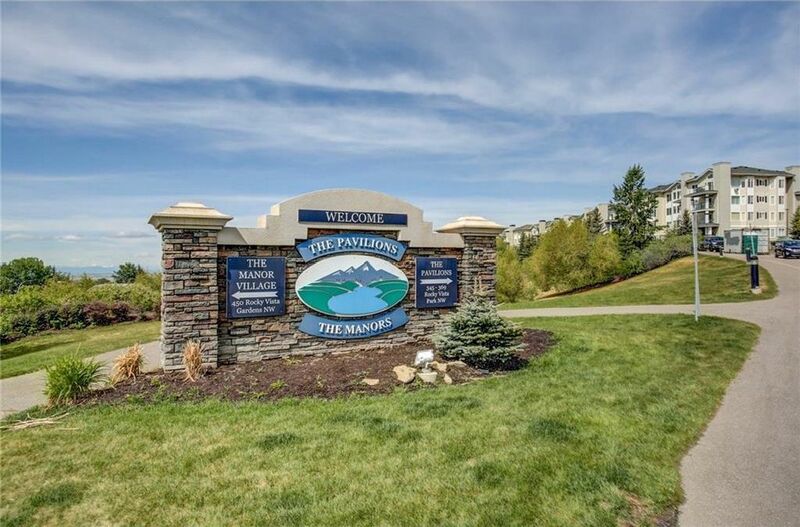 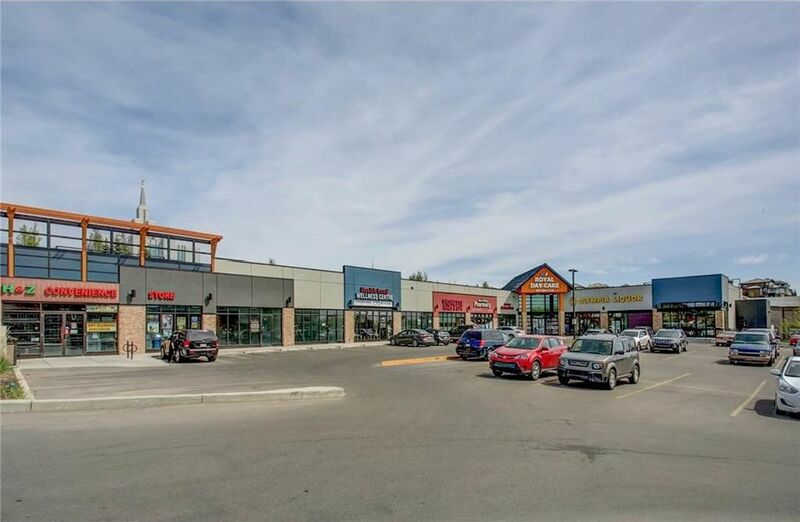 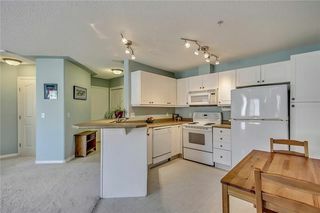 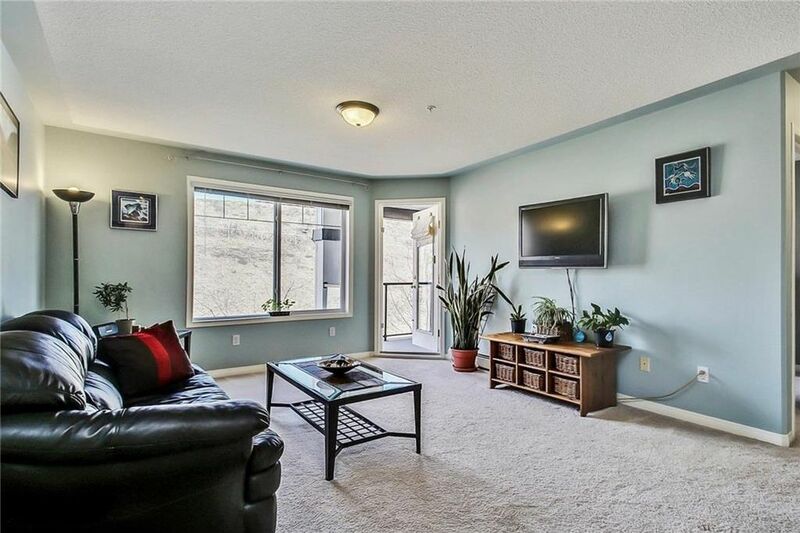 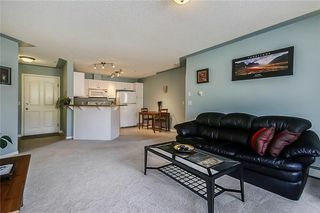 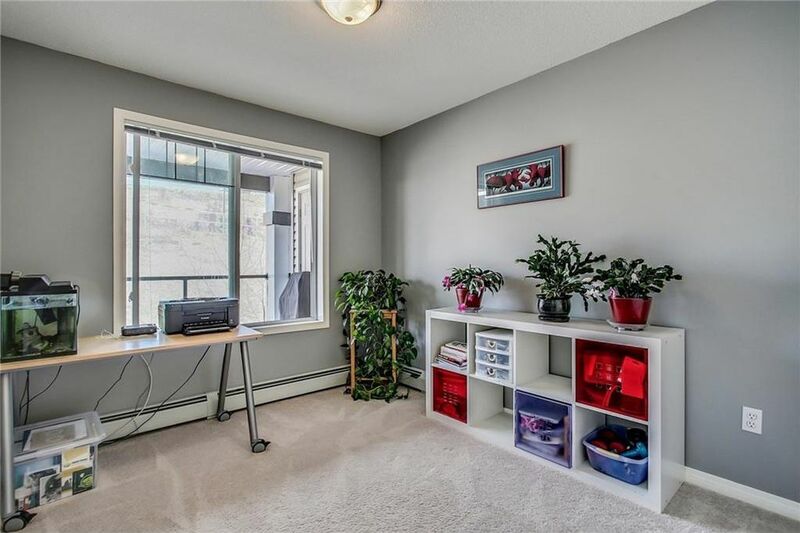 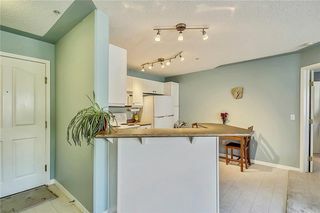 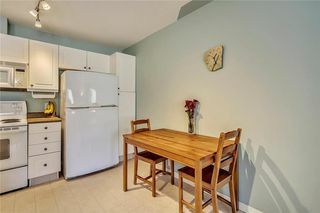 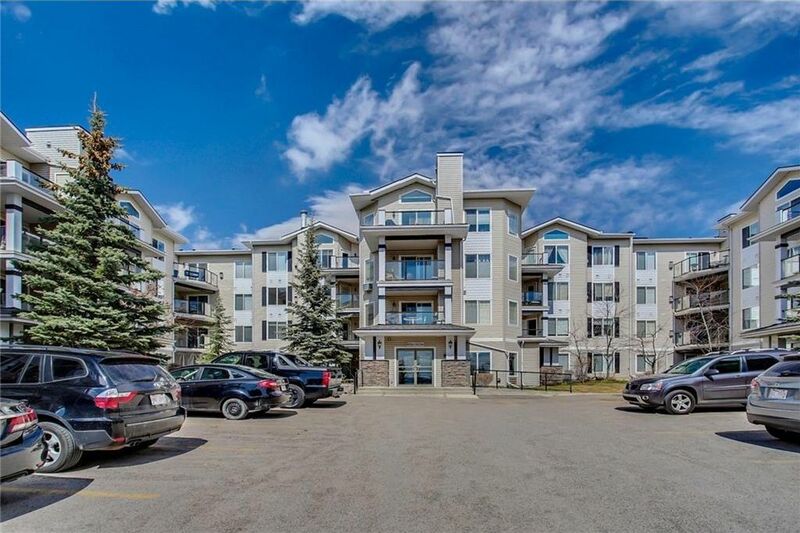 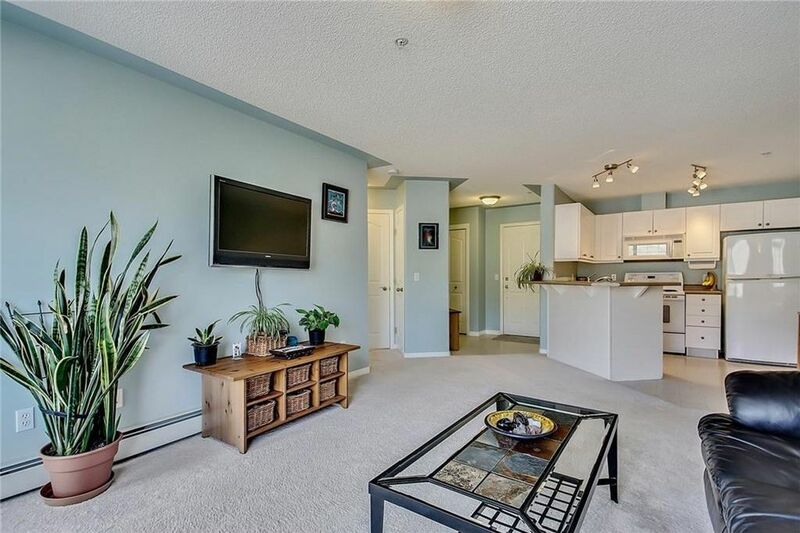 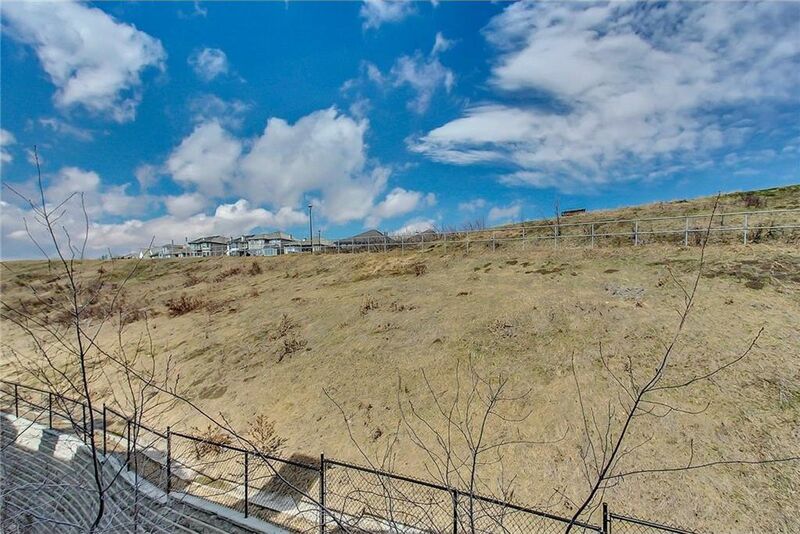 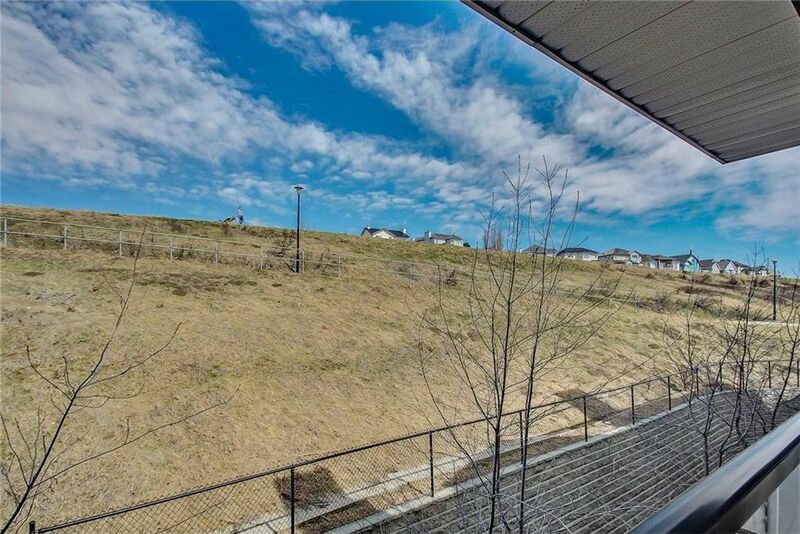 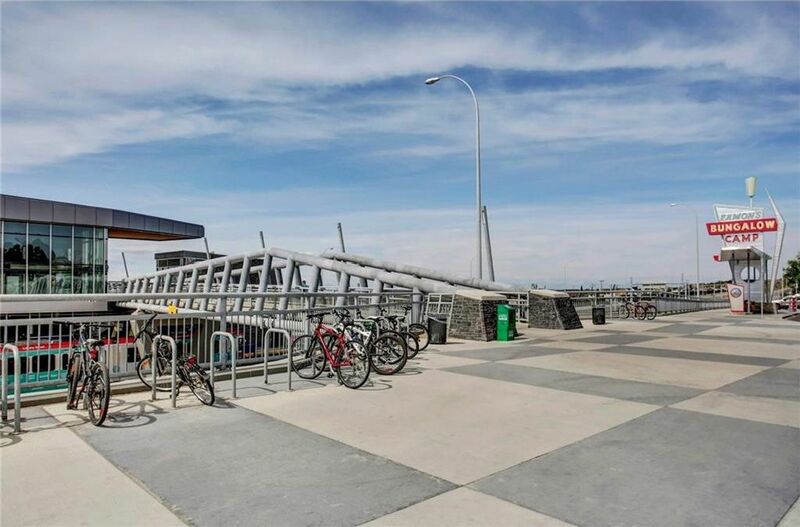 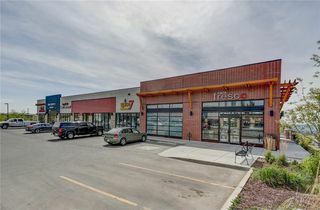 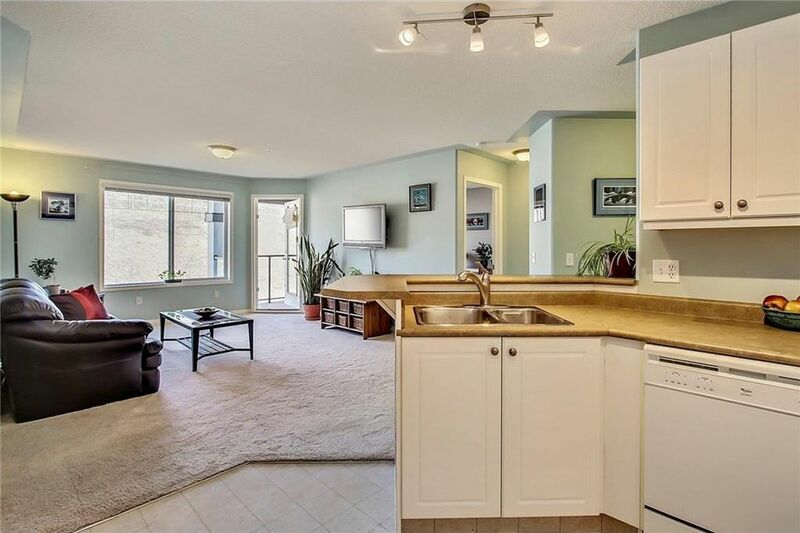 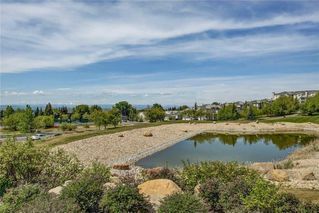 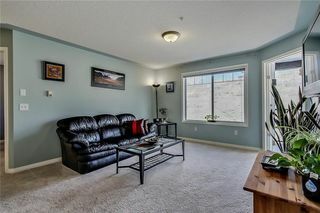 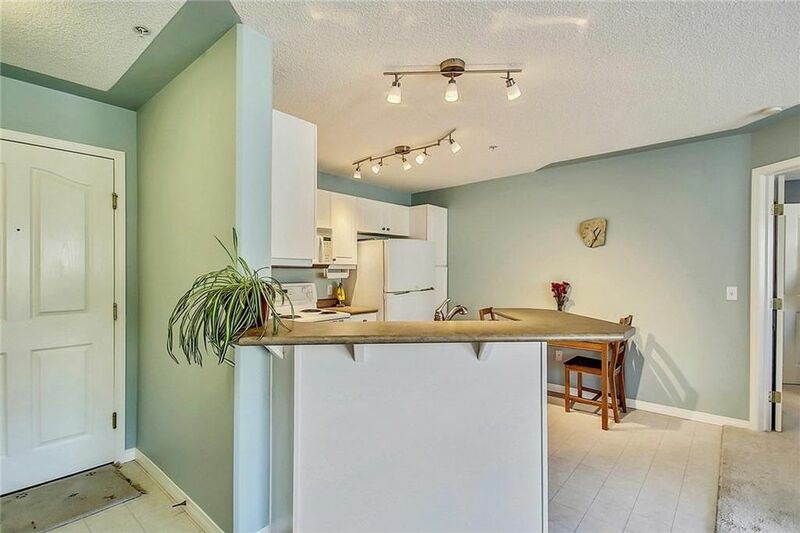 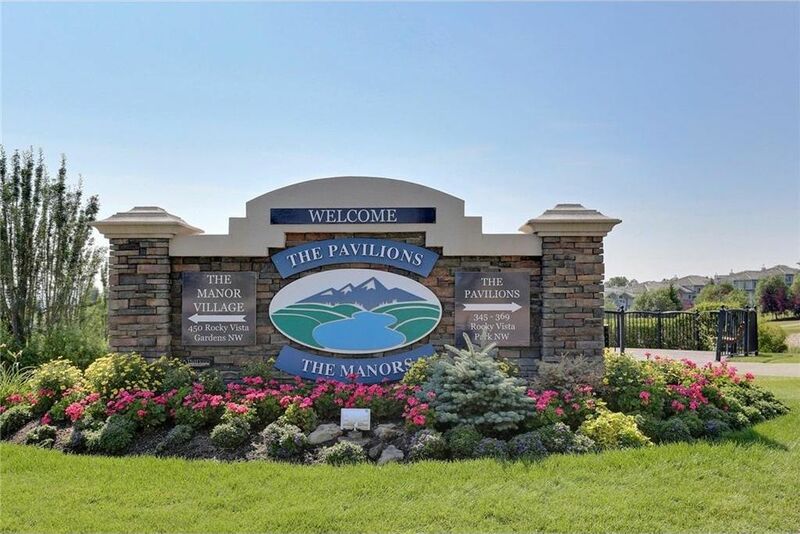 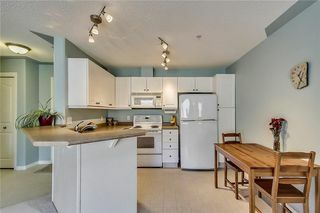 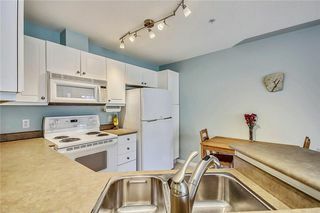 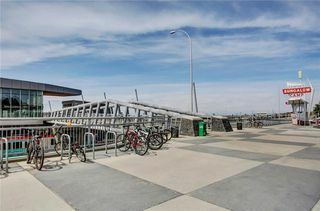 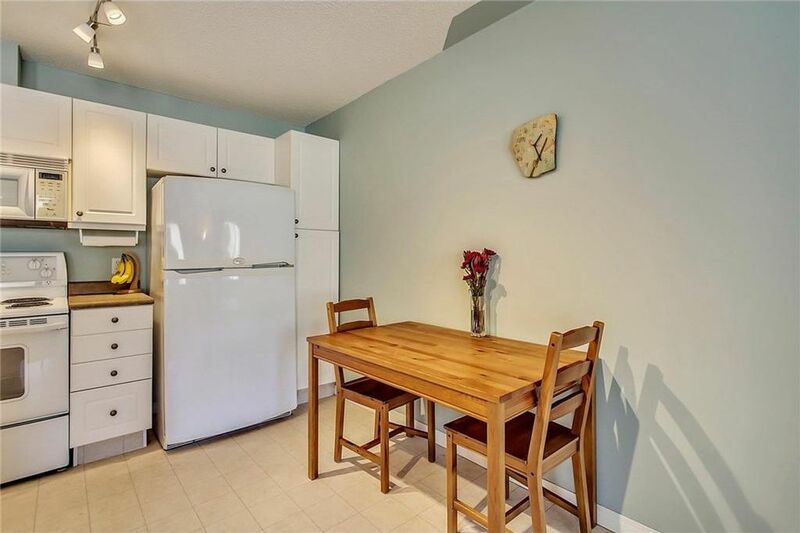 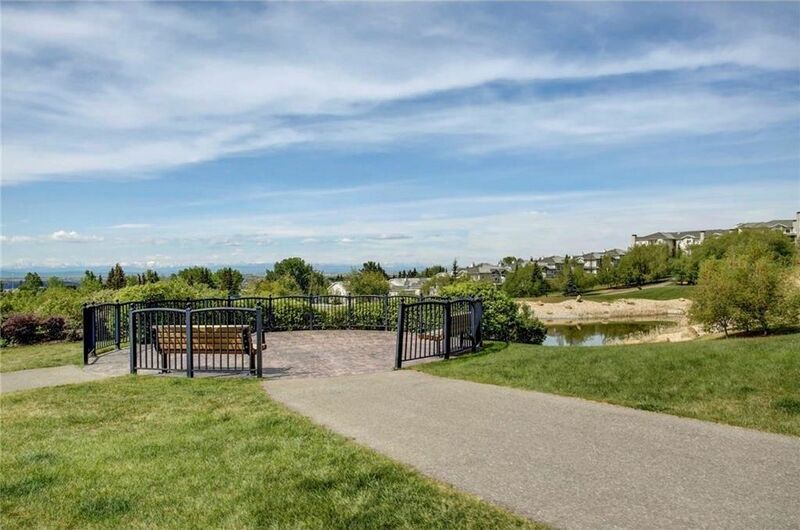 This fantastic condo offers an excellent blend of size, layout, location and amenities! 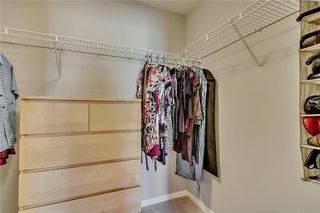 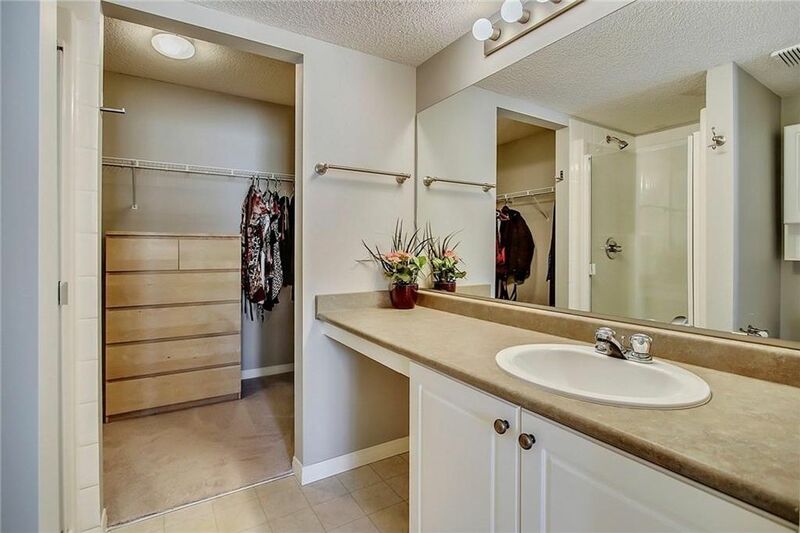 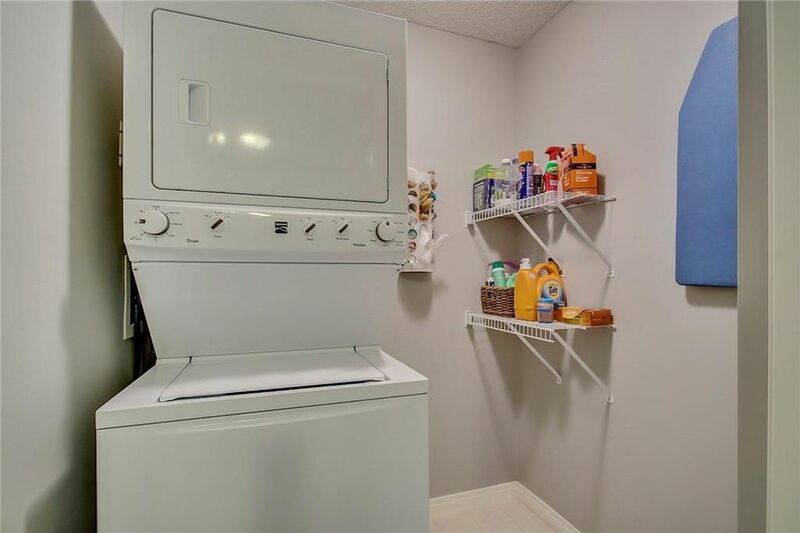 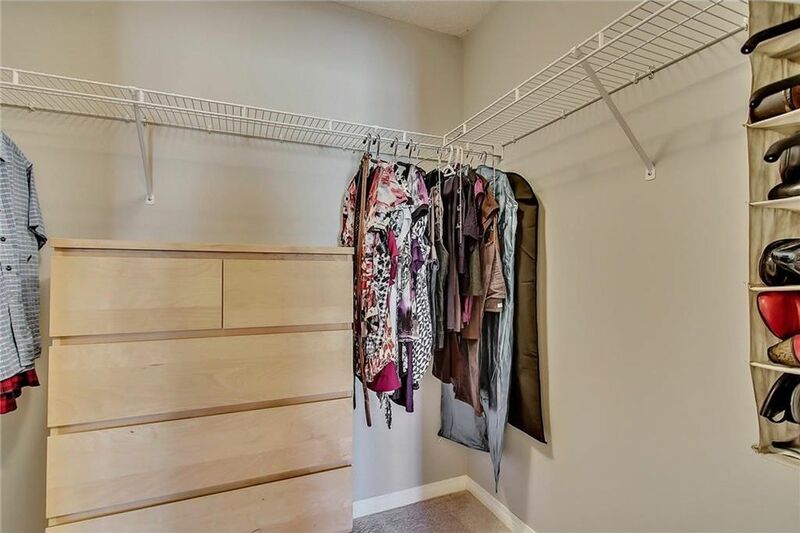 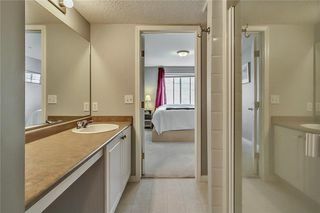 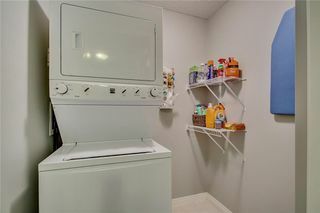 Enter the unit and you have a large closet and even a conveniently located laundry and storage area. The kitchen features an eat-up breakfast bar, loads of counter/cabinet space & enough room for a table. 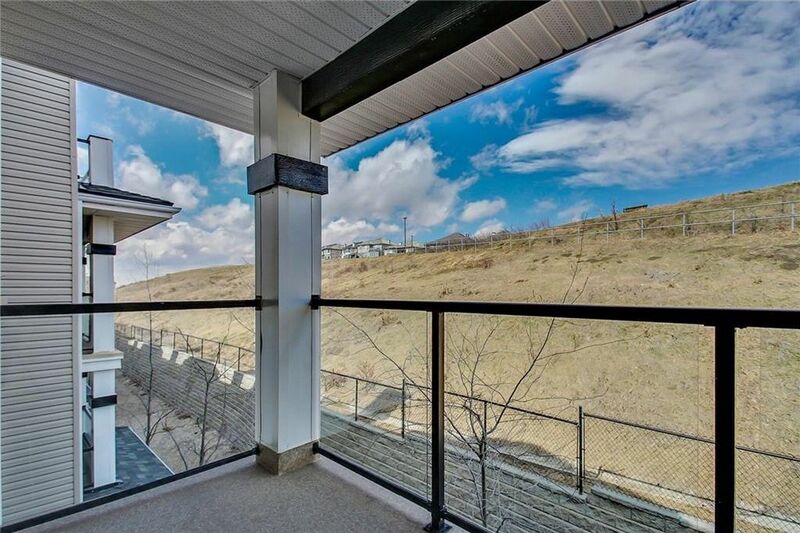 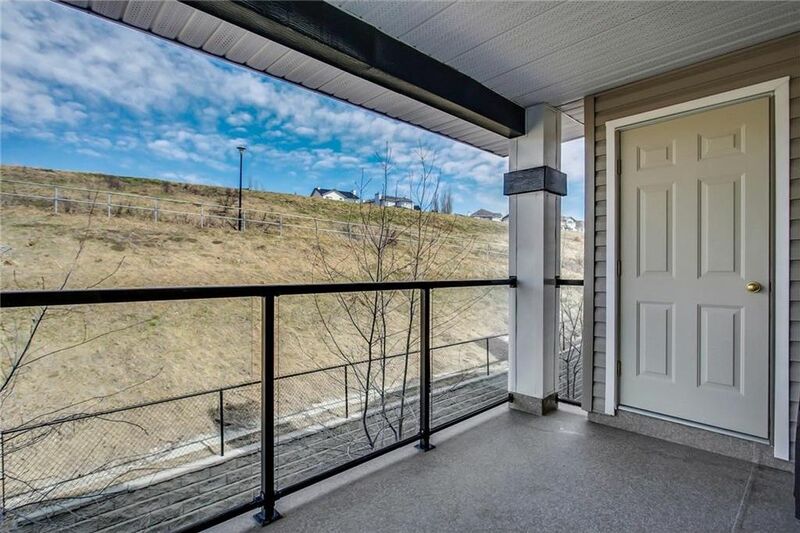 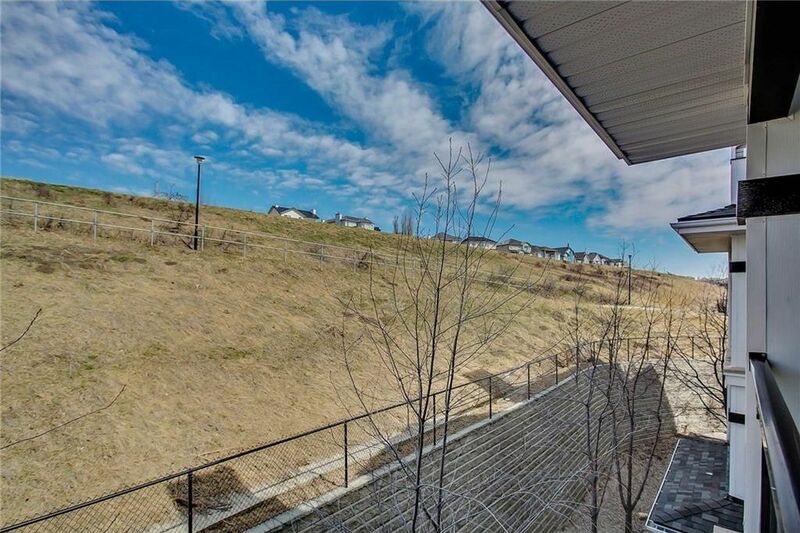 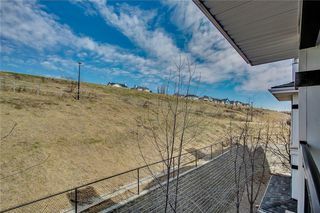 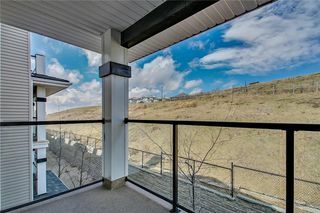 The open living area benefits from a large bright window and flows out to the private balcony with a gas bbq hookup and a secure storage room - all backing onto the hill with walking path - no neighbors to look at! 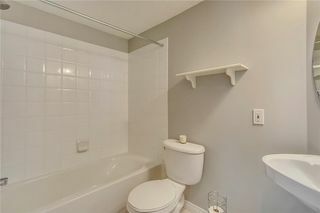 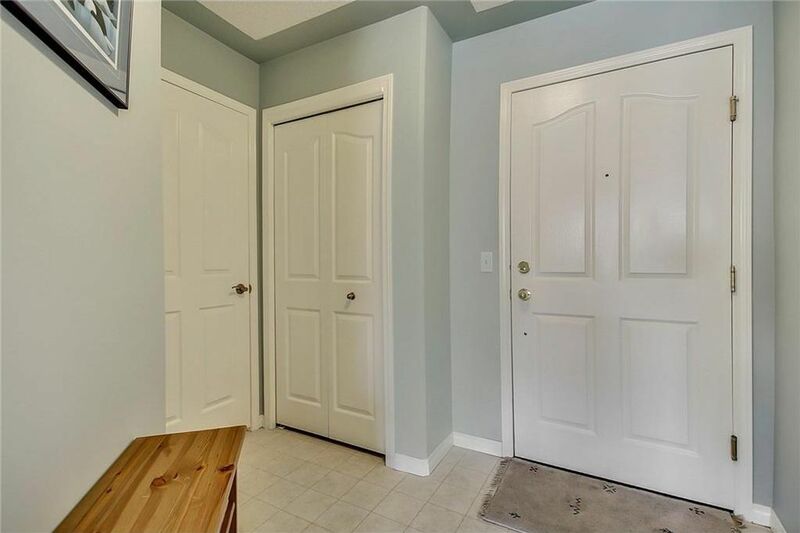 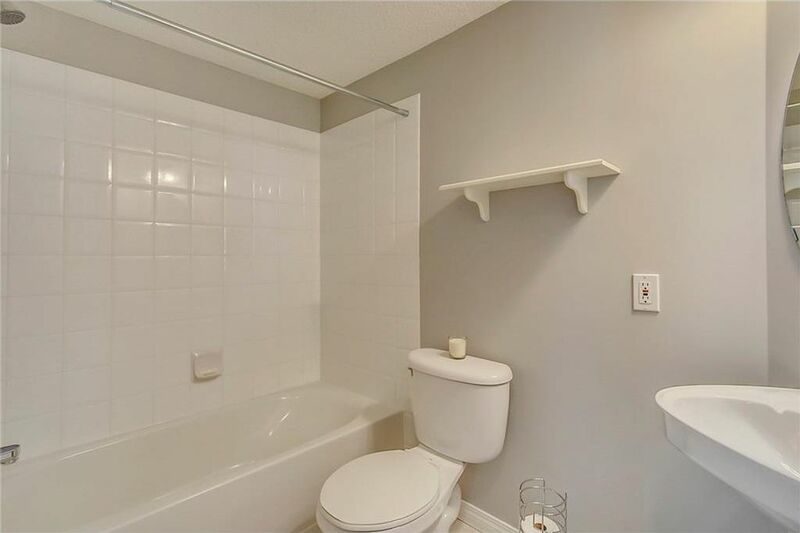 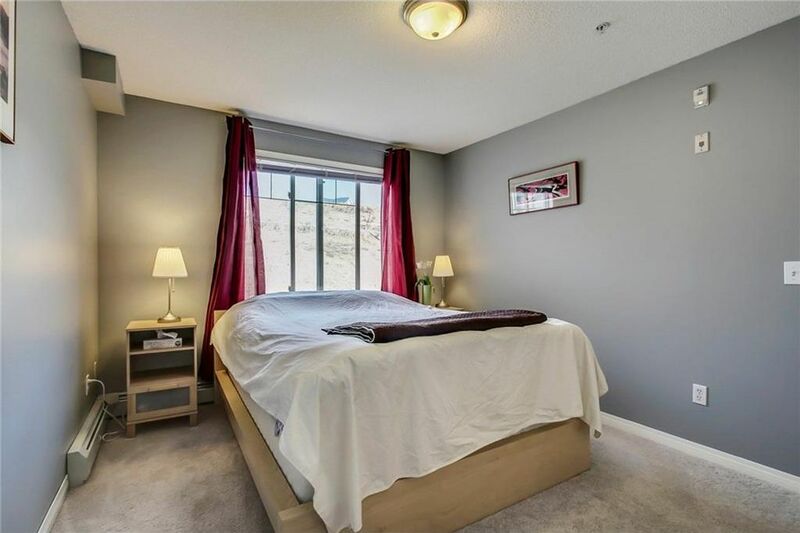 There is a bright bedroom and full 4pc main bath. 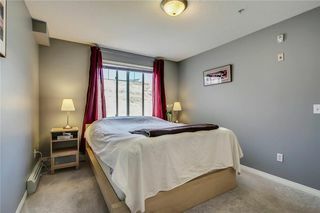 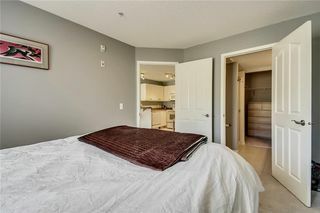 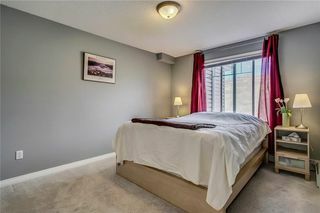 The master bedroom is spacious and bright and has a full 3pc en suite and a very generous walk-in closet. 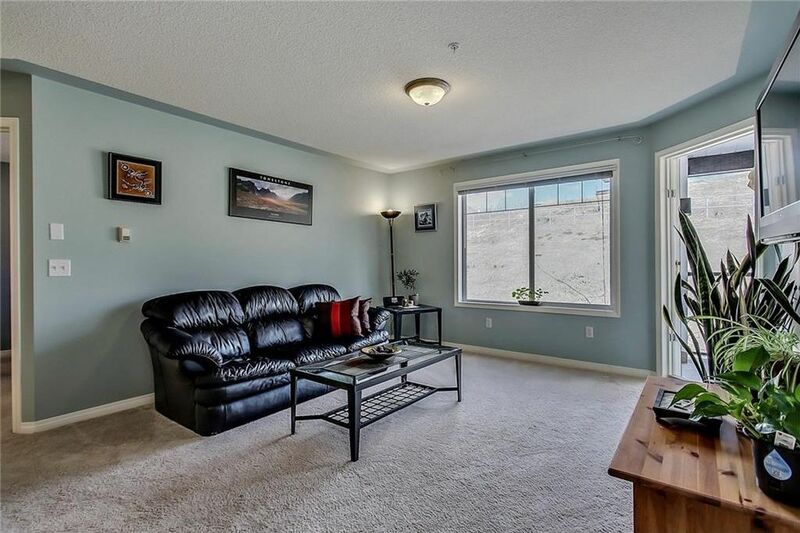 Titled underground parking complete this excellent package. 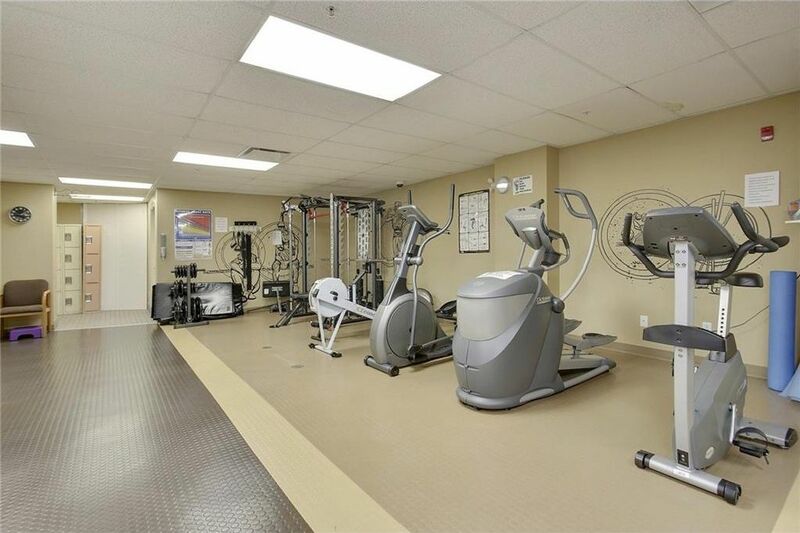 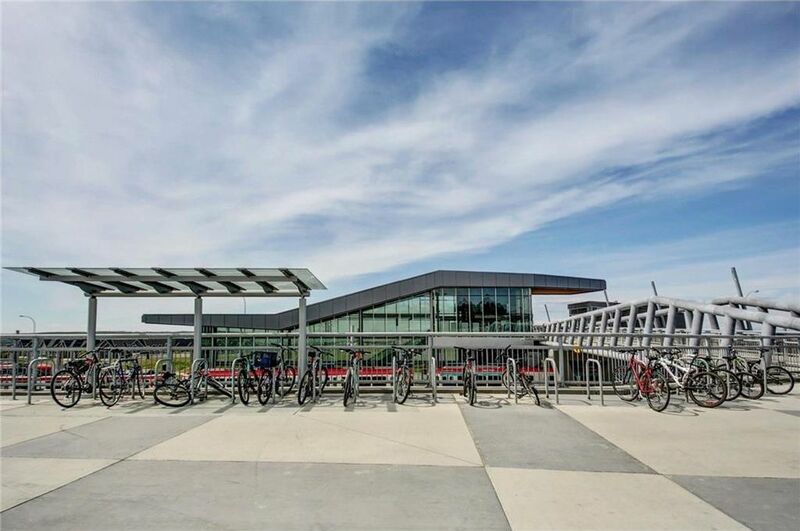 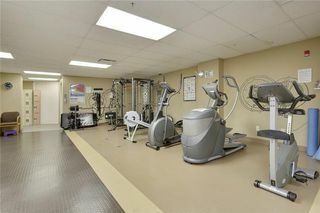 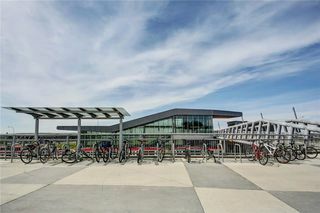 The building and community offers amenities like a fitness room, games area & theatre area. 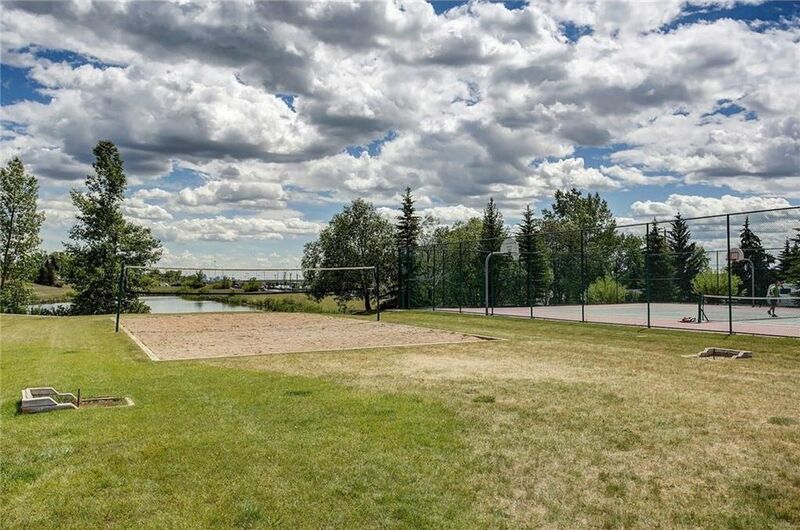 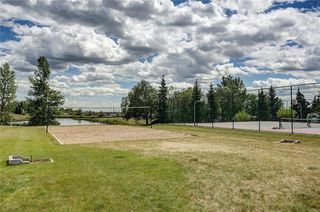 There is also outdoor tennis courts, volleyball, playgrounds and pathways offering easy access to shopping and all nearby amenities. Pride of ownership throughout and move-in ready! Welcome home.